DC18RD is a two port fast charger that is able to charge two Makita slide style Li-ion and Ni-MH batteries(with adapter) at the same time, as fast as DC18RC charges one battery. The DC18RD can also be used for charging USB device from the USB port on front of unit. 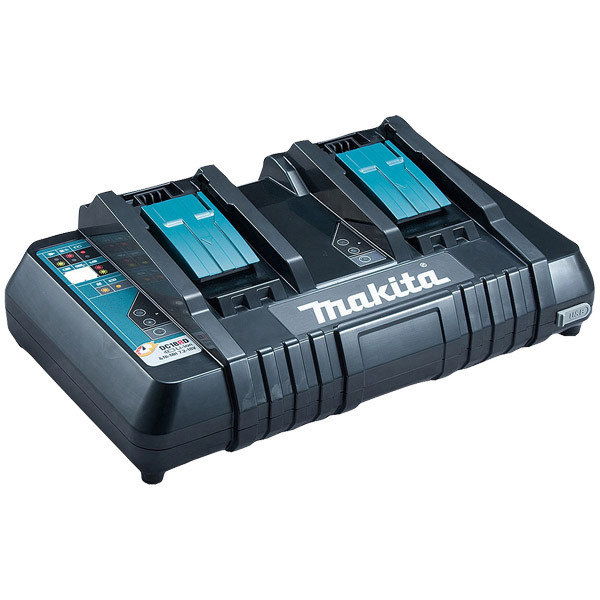 Compatible with Makita 18V slide-on batteries and chargers.